Most corporations pay lip service to the importance of creativity but don’t succeed at building environments in which employees can innovate, write Kelvin Tang, Lara Burg, Mustafa Cem Okay, Konstantinos Giannopoulos and Alice Guiz. Creativity is, without a doubt, one of the most crucial determinants of a company’s success. Over the years, human creativity has brought us the wheel, the internet, and space exploration, all concepts that would have seemed impossible without visionary inventors. It is creativity that drives progress in organizations. And it is creativity that can determine whether a company succeeds or fails. 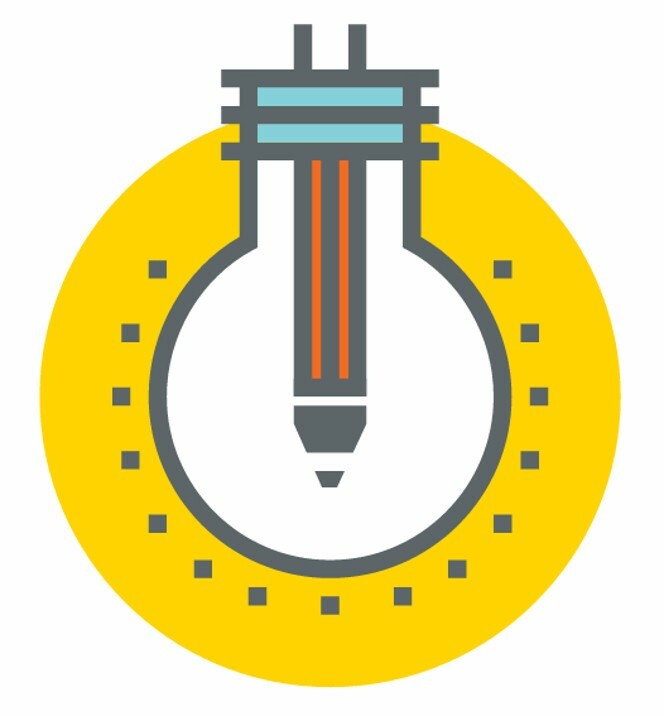 A 2010 IBM study showed that the majority of organizations sampled are aware of the importance of creativity in business, yet most focus very little on creative thinking. Why? People have been trained or taught to think in a certain way, especially in organizations, where creativity is often suppressed – whether intentionally or not. But this negligence of creativity in business cannot be continued in this era: we live in a world where corporations are likely to experience fiercer competition and more disruptive technological innovations in the next 20 years. Therefore, creativity is the modern day competitive advantage. 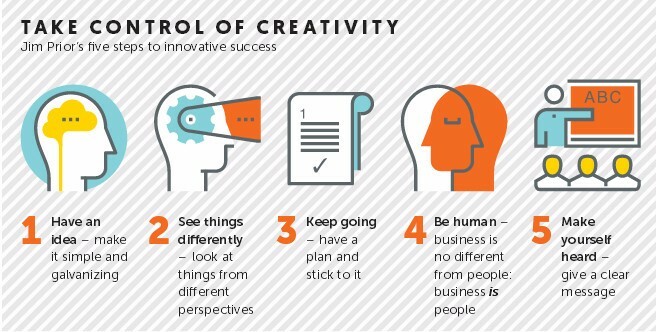 Jim Prior, chief executive of The Partners and Lambie-Nairn, as well as author of Preserved Thoughts, has recently given a talk at the London School of Economics on how businesspeople should take control of creativity in five simple steps (see graphic, below). 1. Demonstrate leadership – Encourage employees from the top-down to contribute ideas freely and challenge the status quo – as “doubt is the crucial first step towards creativity and liberation”, a quote from Thinking in New Boxes: A New Paradigm for Business Creativity written by two BCG consultants. 2.Create a diverse work environment – In McKinsey’s 2014 Why Diversity Matters report, it said that “diversity fosters innovation and creativity through a greater variety of problem-solving approaches, perspectives, and ideas”. This diversity could be achieved in terms of age, tenure, gender, culture, academic disciplines, religion, and so on. Managers can also reward employees for taking reasonable risks (for example, a creative side-project), avoid harsh criticisms when dealing with new ideas, and offer recognition when ideas bear fruit. Creativity in business is ultimately about altering people’s perceptions and satisfying their needs effectively. A real-life example is Ford. “If I asked people what they wanted, they would’ve said a faster horse.” Henry Ford may not have said these words himself, but the sentence reflects his ideology. His vision was to reshape the idea of how people perceived cars – not as a privilege of the elite, but as a mass-produced commodity. Although the assembly line might be considered his greatest contribution, it was his creative vision that drove him towards making Ford one of the biggest car-makers in the world. Such creative ideas, however, need not be as ambitious as Ford’s. Cardboard Technologies, based in Israel, developed a fireproof, waterproof and recyclable bicycle that could last for ten years. It sold for just US$20. Hon Lik invented, manufactured and sold the electronic cigarette to offer a less harmful smoking experience. Coin is developing a device that could replace all the banking cards in your wallet. These innovators may not revolutionize the market as Henry Ford did, but at least they try to have a positive impact on peoples’ lives. Business schools also have a vital role in guiding young leaders to become more innovative. Speculatively, one of the main reasons why the 2010 IBM study showed that managers are risk averse when it comes to creativity in organizations could be the lack of focus on creativity in business schools. In order to improve on this inherent attitude, it is imperative for course organizers to extend their current curriculum to provide students with more opportunities for applying creativity in business. Some brilliant entrepreneurial ideas might bud from these little projects; or help kickstart a successful career for those managers-to-be at creative companies such as Uber and Transferwise. Of course, not everyone needs to be creative – a surgeon during surgery, for example. But in tomorrow’s business landscape, creativity of business people is undoubtedly one of the most competitively advantageous strategic capabilities a firm could possess. What the relevant leaders should do now, is to create a diverse work environment that nurtures creativity, and experiment with innovative ways of understanding customer’s needs (for example, neuromarketing). In the future, we will undoubtedly experience more and more disruptive innovations that will continue to bring mankind forward. This essay is the winner of the London School of Economics and Political Science, Masters in Management, Capstone: Management in Action Blog Award, 2015.